In the spirit of many film festivals going on during this blockbuster season, RogerEbert.com is proud to pretend that the oppressively large summer slate is actually a four-month film fest, again. This is a sequel about sequels, adaptations, reboots, festival gems and more, packed to the brim with major and/or recommended theatrical releases (dates are subject to change). After all, a festival experience and the summer movie calendar are not too dissimilar: Seeing every title on their respective schedules is both impossible and not recommended, for sake of not dying from a lack of sleep or overdosing on corn syrup. And both are a test of the human body’s physical appetite for cinema, regardless as to the size of one’s will. This may be the only festival where a movie with Kevin Hart and Dwayne Johnson is categorized as "Main Competition," but such is the excitement of seeing so many massive, star-bursting, studio-vitalizing movies week-by-week. Below in our extensive preview we've organized all titles into categories familiar to a fest program’s grouping, ("Main Competition," "New Visions") while adding a few special ones of our own ("Older Visions, New Stakes,” a section dedicated to Kathryn Hahn, etc.). Be sure to check back at RogerEbert.com throughout the summer for our coverage of each of these films. And of course, while spending your summer time at the movies, make sure to support your local independent festival as well. With almost everything in this preview remaining unseen as of publishing, here are nine exciting films that have the most overall promise, though some will be banking a few hundred million more than others. “Captain America: Civil War” (May 6): One of the summer's biggest movies, if not its biggest movie, arrives on Friday. With so many franchises in an antagonizing mood, from from "Batman v Superman: Dawn of Justice" to "The Angry Birds Movie," this one will bring Avengers favorites Iron Man and Captain America head-to-head. Chris Evans, Robert Downey Jr., Scarlett Johansson, Anthony Mackie, Sebastian Stan, Elizabeth Olsen, Don Cheadle, Paul Bettany, Paul Rudd, Chadwick Boseman and Tom Holland star. 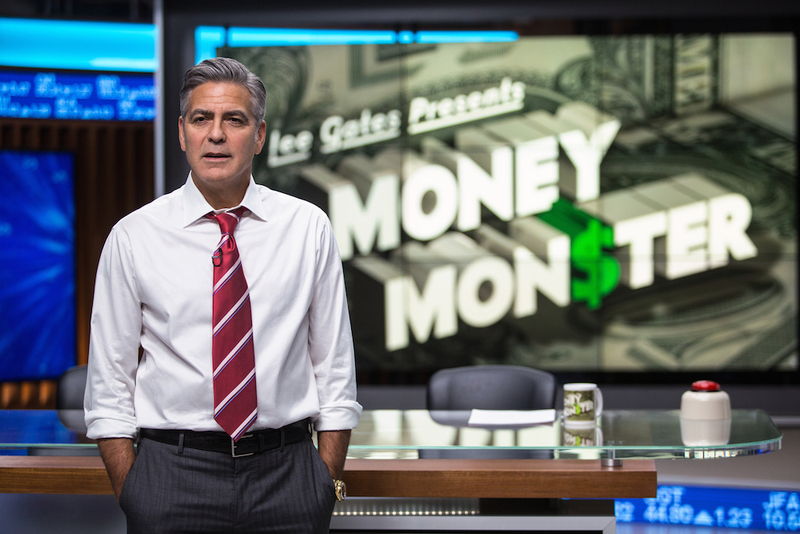 "Money Monster" (May 13): Jodie Foster returns to the feature director's chair for the first time since 2011's "The Beaver," this time with a timely thriller set inside a finance TV station that's been taken hostage. George Clooney, Julia Roberts and Jack O'Connell ("Unbroken") lend their talents to what one hopes has the same edge as Foster's previous film. "Neighbors 2: Sorority Rising" (May 20): Seth Rogen may still not seem like he’d be the lame person next door to the frat house, but that myth is perpetuated with a second “Neighbors” movie, this one involving a sorority that threatens the fraternity Rogen and on-screen wife Rose Byrne made peace with in the 2014 movie. Chloë Grace Moretz, Selena Gomez, and Kiersey Clemons join original cast members including Rogen, Byrne, Dave Franco and Zac Efron. "The Nice Guys" (May 20): Shane Black is one of those true Hollywood products, having worked on scripts like “Lethal Weapon” before directing blockbuster smash “Iron Man 3" decades later. Now, he goes back to his “Kiss Kiss Bang Bang” roots with this '70s-set “The Nice Guys,” which looks like a dose of “Inherent Vice” for the mainstream crowd. Ryan Gosling and Russell Crowe star opposite each other in some intriguing casting; the former especially, as aside from one great appearance in "The Big Short" has been MIA in front of the camera since 2013. "Central Intelligence" (June 17): Dwayne Johnson and Kevin Hart are reaching cosmic levels of stardom individually; a pairing of their mismatched height but similarly bursting charisma is a blockbuster occasion to get excited for. Though they've proven apt at action and comedy, it will ultimately be up to a script and directorial vision, coming in part from "We're the Millers" helmer Rawson Marshall Thurber. Amy Ryan and Aaron Paul also star. "The BFG" (July 1): After getting Mark Rylance an Oscar last year for their “Bridge of Spies” venture, director Steven Spielberg returns with Rylance with an adaptation of Roald Dahl’s classic 1982 book “The BFG.” And after seeing Spielberg do period pieces with “War Horse,” “Lincoln” and “Bridge of Spies,” it’s exciting to see him return to a fantasy touch, especially if we won’t be getting that “The Adventures of Tintin” sequel any time soon. Rebecca Hall, Bill Hader, Jemaine Clement and Ruby Barnhill star. "Café Society" (July 15): The Cannes Film Festival will be first to see the latest movie from Woody Allen, a period piece about Hollywood in the 1930s. We’ll wait until then to see if it’s another disposable one like “Irrational Man” or perhaps a gem like “Midnight in Paris,” but we’re still excited to see that legendary cinematographer Vittorio Storaro (“The Conformist,” “Reds”) will be working with Allen to create the film’s look. Intriguing stars include Kristen Stewart, Jesse Eisenberg, Steve Carell, Judy Davis and Blake Lively. "The Founder" (August 5): John Lee Hancock may not be the most exciting choice to lead a biopic, but perhaps the subject matter can spice things up—this movie is about Ray Kroc and his McDonald’s empire, as played by Michael Keaton. With the story of Kroc a fascinating tale on its own (whether told through a McDonald’s museum or in Eric Schlosser's “Fast Food Nation”), Keaton’s performance is bound to be an exciting one, especially if he brings in a little of the kookiness that makes his "Birdman"-esque roles more energetic. "Southside With You" (August 19): One of the best films you’ll see this summer (perhaps even the year) will be Richard Tanne’s “Southside With You,” about the Obamas first date in Chicago’s Hyde Park. The film blew many people away, including myself, at Sundance this past January, for its performances and tact with a logline that’s more than just a true story hook. Tika Sumpter and Parker Sawyers star. Even the prestigious Cannes Film Festival hosts a few titles for little reason other than having them there. Just ask “Pirates of the Caribbean: On Stranger Tides,” which played “Out of Competition” in 2011, or “Grace of Monaco,” which premiered at the fest in 2014 with the same designation before later heading to the Lifetime Channel. Contrast to those in our “Main Competition,” here are a few titles that fail to instill a promise of quality, or even worse, a justification of existence. "Now You See Me 2" (June 10): The magicians of “Now You See Me 2” are back at it again, despite seemingly using every twist in the book with the first movie, in this sequel directed by Jon M. Chu. Daniel Radcliffe and Lizzy Caplan join the returning lead cast of Dave Franco, Jesse Eisenberg and Woody Harrelson. "The Legend of Tarzan" (July 1): The recent success of “The Jungle Book” will only go so far to promise big returns for this dour-looking reboot of “Tarzan,” starring Alexander Skarsgaard, Margot Robbie, Samuel L. Jackson and Christoph Waltz. "Our Kind of Traitor" (July 1): Fresh off the success of BBC's "The Night Manager" (now playing in the states on AMC), author John le Carré's work continues a type of resurgence, next with a film from director Susanna White, as adapted by Hossein Amini ("Drive"), and brought to life by the likes of Ewan McGregor, Naomie Harris, Stellan Skarsgård and Damian Lewis. "Nine Lives" (August 5): Director Barry Sonnenfeld returns to the big screen with a vintage concept, that of a talking cat. In this case, said cat will be voiced by Frank Underwood himself, Kevin Spacey. With the success of “Keanu” both at the box office and as pet-watching entertainment for the big screen, "Nine Lives" could be a bigger hit than its fluffy concept looks. "Ben-Hur" (August 19): With a remake that was delayed from a fitting February 2016 release, “Night Watch” director Timur Bekmambetov adds another “Ben-Hur” film to its history. Unless audiences (stateside at least) are that excited for sword-and-sandal epics like they used to be decades ago, a cavalcade of shoulder shrugs is bound to follow. “Ben-Hur” stars Jack Huston, Nazanin Boniadi, Rodrigo Santoro, Morgan Freeman and Pilou Asbæk. "Mechanic: Resurrection" (August 26): A sequel that not many people wanted, for a 2011 Jason Statham vehicle that doesn’t rank very high in his filmography. Consider this movie the “Hitman: Agent 47” of Summer 2016, with a bald head to boot. Tommy Lee Jones, Jessica Alba and Michelle Yeoh also star. Film festivals aren’t strictly about discovery, they're about celebrating the classics too. This summer is (again, as always) very heavy on the retrospective inclinations celebrated by other fests, as it looks back upon many previous icons of movies, literature and television to create new perspectives in 2016.
,” taking over Tim Burton's vision from the original psychedelic 2010 film. Included in this cast are Anne Hathaway, Mia Wasikowska as the title character, Helena Bonham Carter, Michael Sheen, Sacha Baron Cohen and a voice performance from the late Alan Rickman. "X-Men: Apocalypse" (May 27): Director Bryan Singer returns to the mutant franchise with this third installment of the reboot, "X-Men: Apocalypse," which introduces a title villain played by Oscar Isaac. With the spectacle of "X-Men: Days of Future Past" showing a baseball stadium dumped on top of the White House, it will be thrilling alone to see how the filmmakers try to top themselves, aside from the world-ending scenarios the title group faces. Sophie Turner, Olivia Munn, Hugh Jackman, Rose Byrne, Michael Fassbender, Nicholas Hoult, James McAvoy, Tye Sheridan, Kodi Smit-McPhee and Jennifer Lawrence star. "Independence Day: Resurgence" (June 24): Here’s a dormant blockbuster franchise that we asked for indirectly. With our box office’s support of “Batman v Superman: Dawn of Justice” and other destructive fare, it was only time before director Roland Emmerich would summon up his powers to destroy Earth again with his “Independence Day” franchise, now rebooted and primed for IMAX viewings. Will Smith does not return for this bout, but “It Follows” star Maika Monroe will be a big lead next to Liam Hemsworth, Charlotte Gainsbourg and Joey King. Bill Pullman, Jeff Goldblum and Vivica A. Fox will also return. "Ghostbusters" (July 15): Any adult crybabies about this movie “ruining their childhood” can save space for the rest of us who are out of our minds excited for Paul Feig’s new movie, a self-declared reboot of Ivan Reitman’s “Ghostbusters.” The new group includes some strong talent straight from “Saturday Night Live,” like Kate McKinnon, Leslie Jones, Cecily Strong and SNL alum Kristen Wiig. Melissa McCarthy and Chris Hemsworth also star. The trailer is reportedly the lowest rated one of its kind on YouTube, but if nearly any website’s commentary section can prove, misogyny takes many forms. Also, it’s just a trailer, everyone. "Star Trek Beyond" (July 22): “Fast Five” director Justin Lin makes the leap from fast cars to a “Star Trek” movie, taking the reins from J.J. Abrams after he went off to make “Star Wars: Episode VII - The Force Awakens.” Lin’s involvement with the blockbuster brings promise for some great action scenes, but the only-satisfactory nature of the previous “Star Trek Intro Darkness” has me worried that the cinematic franchise is more ready to follow easier narrative tracks. Chris Pine, Zachary Quinto, Idris Elba, Zoe Saldana, Anton Yelchin, Simon Pegg, Sofia Boutella and John Cho star. "Jason Bourne" (July 29): It was said for a long time that this movie wouldn’t happen, and yet here it is. Almost ten years after “The Bourne Ultimatum,” director Paul Greengrass and star Matt Damon return to the famous franchise character for the blandly titled “Jason Bourne,” which has been riding a wave of hype since 2012's “The Bourne Legacy” only showed Jason’s mugshot and still somehow made a decent box office. The supporting cast includes Vincent Cassel, Alicia Vikander, Tommy Lee Jones, Riz Ahmed and Julia Stiles. Beyond just adaptations, this summer season is populated by a large share of true life stories coming to the big screen, in both major narrative and documentary releases. 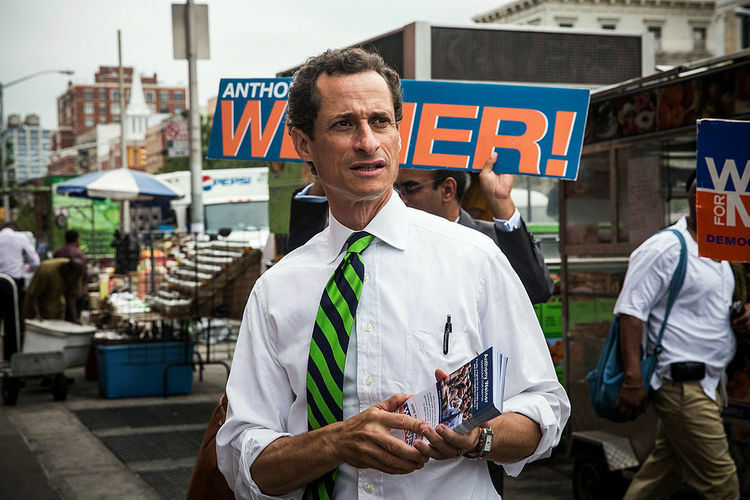 "Weiner" (May 20): This documentary that takes a deep look into the disastrous mayoral campaign of New York Congressman Anthony Weiner has quite the power behind it, along with reviews from Sundance. Debut directors Josh Kriegman and Elyse Steinberg were given unprecedented access to a descent we've previously only known about from media coverage. "Free State of Jones" (June 24): After starting up the "Hunger Games" franchise with its first film in 2012, director Gary Ross has been missing from the multiplex scene until now with this civil war true story, starring Matthew McConaughey. McConaughey is a strong pick to play a Mississippi farmer who leads a small rebellion against the Confederate army, and the story power with him (Keri Russell, Gugu Mbatha-Raw) makes this drama even more intriguing. "The Infiltrator" (July 13): Bryan Cranston returns to the on-screen drug game with a new film from “The Lincoln Lawyer” director Brad Furman. This time, the former “Breaking Bad” star is playing a guy on the good side of justice, as he leads a drug sting to take down Pablo Escobar; trailers for the film hype its main story as “the biggest drug sting in history." John Leguizamo, Diane Kruger, Amy Ryan, and Benjamin Bratt star. "Florence Foster Jenkins" (August 12): If anyone can convincingly play a woman deaf to her own lack of singing talent, it would likely be the immaculate Meryl Streep, as is the case with this true story comedy from Stephen Frears. Hugh Grant and Simon Helberg also star in a movie that comes just a few months after the similarly-plotted "Marguerite." "War Dogs" (August 19): Action has always been something that director Todd Phillips has flirted with, especially in the climaxes of his "Hangover" movies. If the charm of seeing Miles Teller and Jonah Hill as two real-life stoners who won a $300 million contact to sell weapons to Afghansitan, the Phillips factor should make this a curious watch aside from its bizarre true story. Bradley Cooper and Ana de Armas also star. "Hands of Stone" (August 26): Another boxing movie with Robert De Niro, but this time he's the trainer to Edgar Ramirez's Roberto Duran, who is said to be one of the sport's greatest. Cannes has already decided to give this one a special world premiere, which is curious as it won’t be an official part of the festival. Still, it can’t be any worse than “Grudge Match,” maybe? Along with the indie circuit, promising new filmmakers can also be discovered at the multiplex. Here’s where previous smaller successes allot certain talents the keys to tentpole franchises and/or major casts, as a studio’s budget goes into the hands of creative forces simultaneously getting first-hand experience with the craft. "Me Before You" (June 3): Emilia Clarke continues to work on making a big screen presence after winning people over with her performance in "Game of Thrones." With "Terminator: Genisys" not something anyone will be running back to, she tries this romance about a recently-paralyzed man (Sam Claflin) who falls for his caretaker (Clarke). "The Hollow Crown" miniseries director and theater director Thea Sharrock makes her feature film debut. "Genius" (June 10): At least by its production, “Genius” ain’t your ordinary book editor biopic. This film about Max Perkins, a book editor at Scribner, has quite the cast (Colin Firth as Perkins, Nicole Kidman as Aline Bernstein, Jude Law as Thomas Wolfe and Guy Pearce as F. Scott Fitzgerald), and a credit from writer John Logan (“Hugo”). Actor Michael Grandage makes his directorial debut with a movie that’s hopefully more inspired than its title. "Swiss Army Man" (June 24): For the many films that came out of Sundance 2016 and are waiting to descend upon wide audiences, “Swiss Army Man” was undoubtedly one of the biggest buzz films. This movie from directors Daniel Scheinert and Daniel Kwan (known in their music videos as DANIELS) features a farting corpse played by Daniel Radcliffe, played opposite by an alive Paul Dano who needs his help. Mary Elizabeth Winstead also stars. "Mike and Dave Need Wedding Dates" (July 8): In a summer of big summer comedies, this is one of the smaller ones but the could prove to be unique, especially if the great casting of Zac Efron, Adam Devine, Anna Kendrick and Aubrey Plaza is taken full advantage of. Newcomer Jake Szymanski (from “Funny or Die” and episodes of “Brooklyn Nine-Nine”) makes his directorial debut. "Lights Out" (July 22): Teresa Palmer stars in this mid-summer horror from David F. Sandberg, who is adapting from his own three-minute 2013 short. The concept, about a woman tormented by spirits when the lights are off, is both simple and very curious. Maria Bello also stars in this movie that got Sandberg a gig directing the upcoming "Conjuring" spin-off sequel "Annabelle 2." Upping the ante on the pressure that’s experienced on a first-time director’s set, the summer movie season provides the viewer’s thrill of watching a somewhat seasoned filmmaker take on an endeavor that’s larger than anything they’ve done before, while a studio gambles on their promise to deliver. With directors making their biggest projects yet here, these films can be do-or-die moments within a ruthlessly competitive business. "Teenage Mutant Ninja Turtles: Out of the Shadows" (June 3): "Earth to Echo" director Dave Green makes a big leap to a Michael Bay production with this "Teenage Mutant Ninja Turtles" sequel. The former one was bit more fun than it had any right being, so as strange as it may be to say, this sequel has some charms (in comedy and action) to live up to. Megan Fox, Tony Shalhoub, Will Arnett, Fred Armisen, Tyler Perry, Laura Linney, Stephen Amell and more star. "Popstar: Never Stop Never Stopping" (June 3): Jorma Taccone and Akiva Schaffer aren't strangers to minor studio comedies, having directed "MacGruber" and "Hot Rod," respectively. 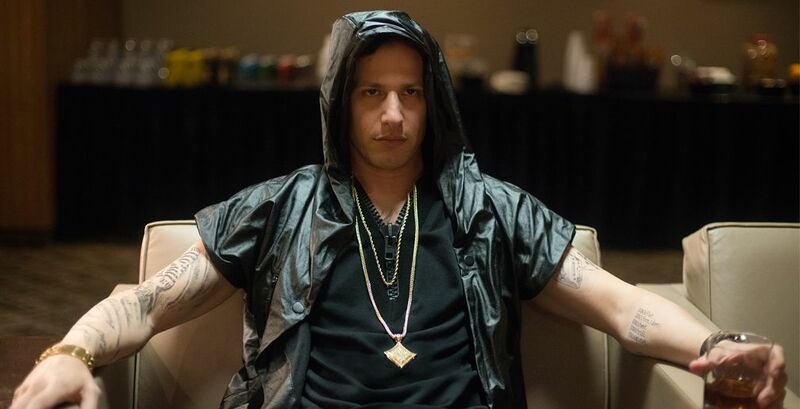 But while those titles have enjoyed cult success it will be interesting to see how they pull this off using their collective powers as The Lonely Island for a pop music mockumentary, with final member Andy Samberg of the trio out in front. Imogen Poots, Maya Rudolph, Will Forte, Bill Hader, Adam Levine, Sarah Silverman, Joan Cusack and Martin Sheen also star. "Warcraft" (June 10): One of the most popular video games in the world gets a long-anticipated bid at blockbuster glory. Aside from pleasing a fan base, director Duncan Jones ("Source Code") will also have the task of taking the characters and “Warcraft” experience to the mainstream, especially in the rough climate for video game adaptations. Travis Fimmel, Paula Patton, Ben Foster, Dominic Cooper, Clancy Brown and Toby Kebbell also star. "Suicide Squad" (August 5): David Ayer moves from his own gritty screenplays to a crucial adaptation tentpole for Warner Brothers and DC Comics, especially since their previous “Batman v Superman” may have been a hit, but was a miserable experience. To invigorate the DC Brand, this tale of villains (including a Joker played by Jared Leto) will bring shenanigans and mayhem à la “Guardians of the Galaxy,” with star power and quirkiness on its side as it comes post-“Deadpool.” Margot Robbie, Scott Eastwood, Will Smith, Joel Kinnaman, Jai Courtney, Adewale Akinnouye-Agbaje, Viola Davis, Common and much more will appear. "Pete's Dragon" (August 12): “Ain’t Them Bodies Saints” indie director David Lowery makes the big leap to a Disney tentpole in the entertainment’s empire mission to reboot many of its earlier properties. Lowery’s inclusion to the story is exciting if for the type of left-field decisions that will come into play. Bryce Dallas Howard, Karl Urban, Robert Redford, Wes Bentley and Oona Laurence star. Every actor working in the business is apparently going to pop up in a movie sometime this summer. But few actors will be as common as the Kathryn Hahn, one of the best scene-stealers out there, whether in big comedies like "Step Brothers" or dramedies like "The D Train." In celebration of her royal Hahn-ness, she's inspired a mini festival section all for her own. "The Do Over" (May 27): Adam Sandler's second Netflix movie on his contract with the distributor finds him pretending to be someone else, alongside David Spade. Steven Brill (of Sandler's previous "Little Nicky" and "Mr. Deeds") directs a cast that includes Sandler, Space, Hahn, Paula Patton, Sean Astin and Luis Guzmán. "Captain Fantastic" (July 8): Viggo Mortensen stars in this Sundance-approved comedy about a father who raises his kids in the woods, only to have to acclimate them to society. Hahn appears in the film opposite Frank Langella as someone opposed to this parenting, in a movie written and directed by Matt Ross. "Bad Moms" (July 29): Christina Applegate, Mila Kunis and Hahn are the title matriarchs busting loose in this comedy from Jon Lucas and Scot Moore, previously with writing credits for "The Hangover." Jada Pinkett Smith, Anna Mumolo, Kesha and Oona Laurence also star. This season’s array of animated features is made up of various revered creative companies, each boasting massive voice casts along with a blockbuster's scope. 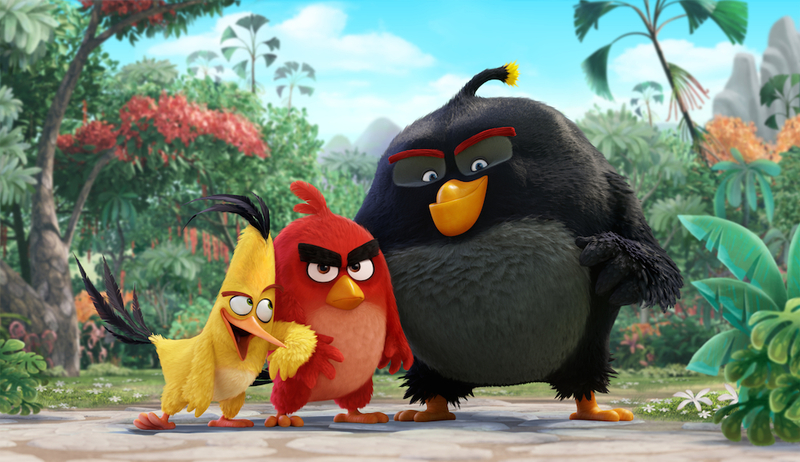 "The Angry Birds Movie" (May 20): This is a new threshold for animated movies—it's not just based on video games, but an iPhone app. Of course, the Angry Birds brand has become far bigger than just a handy time-killer, and this movie could very well be the next step for a franchise that has somehow won the hearts of many. Peter Dinklage, Titus Burgess, Sean Penn, Kate McKinnon, Maya Rudolph, Bill Hader, Ike Barinholtz, Josh Gad, Danny McBride, Hannibal Buress, Geoffrey Arend, Keegan-Michael Key, Billy Eichner and Blake Shelton provide their voices. "Finding Dory" (June 17): The sequel to Pixar's 2003 film "Finding Nemo" finally comes to theaters, with an emphasis on the scene-stealing character played by Ellen Degeneres. Aside from being the Pixar movie of this year, it comes with the added weight of being Andrew Stanton's first film since "John Carter," the infamous Disney production that is either underrated or worthy of its scorn, depending on who you ask. DeGeneres provides voice work alongside Albert Brooks, Bill Hader, Dominic West, Diane Keaton, Idris Elba, Ed O'Neill, Ty Burrell, Kaitlin Olson and Kate McKinnon. "The Secret Life of Pets" (July 8): One of the few original animated movies we’ll see at the multiplex this year, this project from the filmmakers behind “Despicable Me” boasts a big voice cats, including Ellie Kemper, Jenny Slate, Lake Bell, Kevin Hart, Louis C.K., Eric Stonestreet, Albert Brooks, Hannibal Buress, Dana Carvey and Carlos Alazraqui. "Ice Age: Collision Course" (July 22): “Ice Age: Collision Course” is the fifth installment in no one’s favorite animated franchise, this time featuring scene-stealer Scrat in Space. The voices include Ray Romano, Denis Leary, John Leguizamo, Max Greenfield, Nick Offerman, Melissa Rauch, Jennifer Lopez, Seann William Scott, Adam Devine, Keke Palmer, Michael Strahan and more. "Kubo and the Two Strings" (August 19): Laika Studios, the creative forces behind "Coraline" and "ParaNorman" and "The Boxtrolls," returns with his adventure movie about gods, monsters and instruments with two strings. Matthew McConaughey, Charlize Theron, Ralph Fiennes and George Takei are just a few of the names listed as voice talents. Whether packing on adult humor or being full of Satan knows what, this season also offers features whose genre aspirations would be welcome in a regular fest’s “Midnight”categorization. Added bonus—not having to stay up late to check them out. 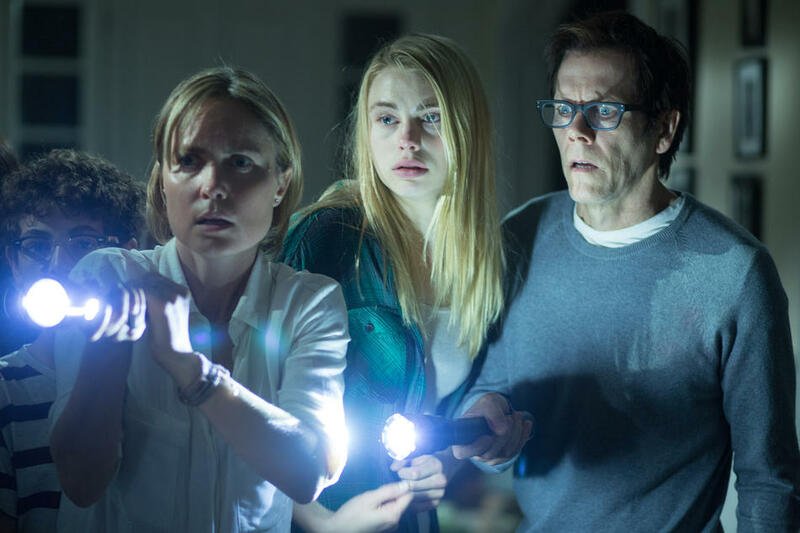 "The Darkness" (May 13): Any fans of "Wolf Creek" will be stoked to see director Greg Mclean get a boost from producer Jason Blum and his Blumhouse Productions with his latest project. Jennifer Morrison and Kevin Bacon star in this supernatural thriller about a family that returns from the Grand Canyon, accidentally bringing a ghost with them. "The Conjuring 2" (June 10): After making “Fast & Furious” film history with “Furious 7,” director James Wan returns to his previous horror property “The Conjuring” for another bout of scare tactics and creepy filmmaking. Vera Farmiga and Patrick Wilson star. "The Shallows" (June 29): Blake Lively continues adding to an exciting acting resume, playing a woman surrounded by sharks while on a surfboard in the middle of the ocean. While it'll prove a curious feat for performance, director Jaume Collet-Serra will be tasked with making the environment as tense as the doomed flight in his 2014 thriller "Non-Stop." "The Purge: Election Year" (July 1): Writer/director James DeMonaco has been sitting on a great horror concept (a lawless holiday) but has never been able to reach beyond a high school essay level with cynicism about a world that would ever approve of such a law. Here’s hoping the third time is a charm with “The Purge: Election Year,” which will inevitably be poking at our current Purge-like atmosphere of hatred and Donald Trump. Frank Grillo and Elizabeth Mitchell star. "Sausage Party" (August 12): Filmmakers Seth Rogen & Evan Goldberg are about to make their “South Park: Bigger, Larger and Uncut” with this R-rated animated movie about a sausage’s existential crisis. Even when the film played as a work print screening at SXSW 2016, the responses were high. A possible classic in the making, featuring the voice talents Rogen, James Franco, Paul Rudd, Jonah Hill, Nick Kroll, Edward Norton, Bill Hader, Danny McBride, Craig Robinson, David Krumholtz, Kristen Wiig, Salma Hayek and Michael Cera. "Don't Breathe" (August 26): This movie from “Evil Dead” director Fede Alvarez did well with folks at SXSW 2016 when it was unnamed. Our own Erik Childress said the film was "in line to become a new horror fan favorite." "Don’t Breathe” stars Jane Levy, Dylan Minette and Stephen Lang. "Love & Friendship" (May 13): After talking about her since his first film, 1990's "Metropolitan," writer/director Whit Stillman finally makes a Jane Austen movie, with all the proper period details. The inspiring text is "Lady Susan," an unfinished short story from Austen's earlier days, as treated with Stillman's iconic dry wit. Consider this a recommendation for what should prove to be a great break from the blockbuster cavalcade. Kate Beckinsale, James Bennett and Chloë Sevigny star. "The Lobster" (May 13): Yorgos Lanthimos' "The Lobster" finally comes to theaters after starting a year-long distribution journey at Cannes 2015. The plot for this strange story is best left under wraps. Rachel Weisz, John C. Reilly and Colin Farrell star. "High-Rise" (May 13): "Kill List" director Ben Wheatley makes a film that's being packaged as a vertical "Snowpiercer" with "High Rise," starring Tom Hiddleston. 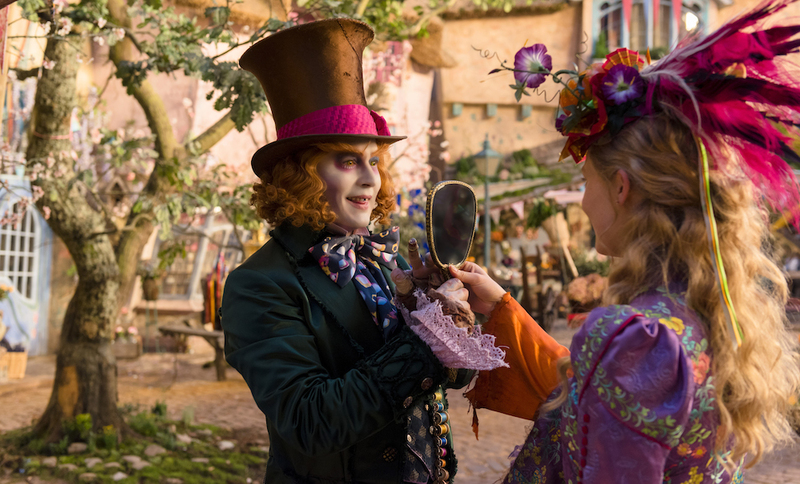 That's all we need to be excited about this movie, which Brian Tallerico said displayed "remarkable directorial confidence," despite his thoughts that it's "an exercise in style with almost no substance." "Last Days in the Desert" (May 13): Ewan McGregor plays Jesus in this atmospheric Bible adventure that debuted at Sundance back in 2015. From my fleeting memory of this movie (which is bound to be one of the stranger religious films you'll see this year), the cinematography from Emmanuelle Lubezki was worth it alone. Tye Sheridan and Ciarán Hinds star in this movie from Rodrigo García, which imagines Jesus' forty days in the desert. "The Fits" (June 3): Of all the movies on this list, “The Fits” is one of the must-sees that you should experience in a theater, with plenty of time to talk about it afterward. Those in Chicago will get to see it a couple weeks early when it screens at the Chicago Critics Film Festival in mid-May. Co-writer/director Anna Rose Holmer makes her feature debut with this original, hypnotic film. "Wiener-Dog" (June 24): Todd Solondz returns to cinema after about five years with this spiritual sequel to “Welcome to the Dollhouse,” his breakthrough indie hit of the mid 90’s. I was fortunate enough to see this film when it made its world premiere at Sundance 2016, and some of its imagery (from DP Ed Lachmann, recently of “Carol”) still lingers. Amazon will be releasing this movie, but it’s one to see on the big screen, especially as the usually non-cinematic writer/director starts to get personal about the hell that is making films. "Equity" (July 29): Director Meera Menon, winner of the Nora Ephron Prize at the 2014 Tribeca Film Festival, makes a big leap forward with this Wall Street drama “Equity,” as set from the perspective of the women in the office who you don’t often see in stories like “The Big Short” or even “The Wolf of Wall Street.” Anna Gunn, James Purefoy, Alysia Reiner and Sarah Megan Thomas appear in this premiere from Sundance 2016. Next Article: Burn The Witch: The Gender Politics of Being an Auteur Previous Article: New Position: A Defense of "Under the Cherry Moon"